TRILOK STEEL INDUSTRIES is supplier, stockist & distributor of Marine Grade Stainless Steel Tubethat are widely used for marine applications.We are also exporter & distributor of Marine Grade Stainless Steel 316 Tube.In a marine environment Marine Tube Materialmust be made clear as to whether the stainless steel is submerged in seawater or is simply near enough to the seashore such that it can be attacked by the chloride present in seawater by splashing or carried by onshore breeze.Trilok Steel Industries well known as Marine Grade Stainless Steel Tube manufacturer in India.As a largest stockholder of marine grade Tube.Near the seashore Stainless Steel 316Lis typically considered the minimum grade of for use in such a marine environment. 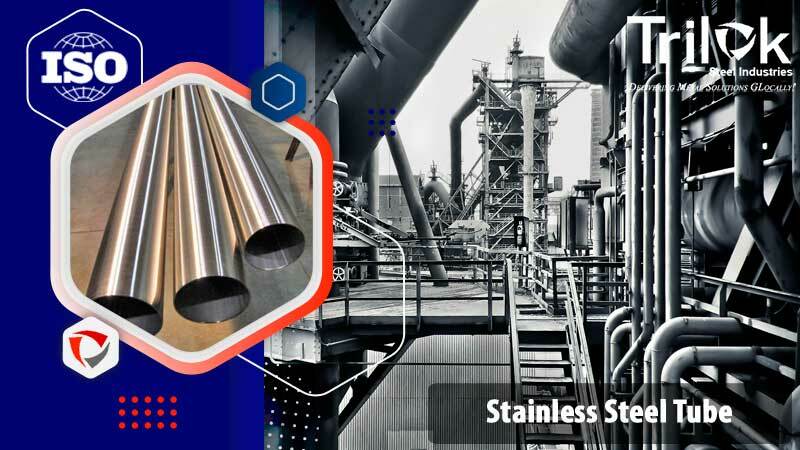 TRILOK STEEL INDUSTRIES is engagged in supplying Marine Grade Stainless Steel Tube in different thickness, different diameter length, and in different quality. 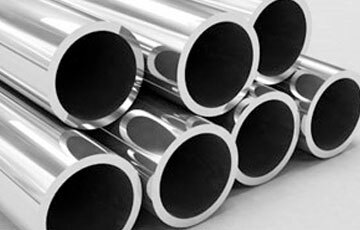 Marine Grade Stainless steel Tube have some degree of corrosion resistance, however, there are several grades of stainless steel that are far more suitable for use in marine environments than others.Generally, When these 316 marine grade stainless steel Tubesis exposed to underwater or wet environments, marine grade metals may be necessary to prevent the material from failing under the conditions. Marine Grade SS Tubesare resist corrosive effects that are common in a water environment.In the marine industry, these marine grade stainless steel Tubesare used most widely. Grade 316is probably the most common grade of stainless steel used in marine applications.Marine Grade Stainless Steel Tube has more molybdenum than other austenitic stainless steels which helps it to resist pitting and other corrosive effects of salt water. Grade 304is another marine grade stainless steel Tube, although it has less molybdenum than grade 316 making it a less desirable choice in chlorine-rich environments. Marine Grade Stainless Steel Tube Finish Satin Finish(180#.240#.320#).,Bright Finish(400#,600#,mirror),Mill Finish(2B),Hairline-Finish(HL/Brushed),Ti-gold, Glossy matt,dull and so on. Marine Grade Stainless Steel Tubes for high temperature above 300 °C. Tubes made of steel with high/low temperature toughness at temperature below – 10 °C. Stainless steel Tubes for chemicals. 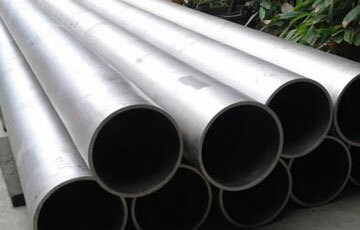 check latest updated price of Marine Grade Stainless Steel Tube. Marine Grade Stainless Steel Tube Distributor, Marine Tubes supplier, Marine Exhaust Tube Dealer in India, High Quality Marine Grade Stainless Steel Tube, Marine Grade Stainless Steel Tubes Exporter in India, Marine Deck Tube, Marine Drain Tube, Marine Gas Tube Exporter, Marine Grade Stainless Steel Tubes Manufacturer in India. Suppliers of Marine Grade Stainless Steel Tubes, 304 Marine Tubes, 316L Marine Tube Exporter, 4 inch Marine exhaust Tube , Grade 316 Marine Tube Supplier in Mumbai, India. Marine Grade Stainless Steel Tubes are finished in accordance with customer needs regarding dimensional and wall thickness specifications as well as heat treatment for more demanding applications. In general a Marine Grade Stainless Steel Tube is manufactured according Marine Grade 304 ,Marine Grade 316 and Marine Grade 316 L standards API, ASTM, and ASME. This table is a master table covering wall thicknesses available in the purchase of different classifications of Tube, but it is not meant to imply that all the walls listed herein are necessarily obtainable for the applicable product specification. Buy from Marine Grade Stainless Steel Tube manufacturers for best price, ISO Certified Manufacturer, Supplier of marine grade stainless steel Tube, Marine Grade Stainless Steel Tube Supplier In India, Marine Grade Stainless Steel Tube Manufacturer, Exporter, 304 Marine Grade Stainless Steel Tubes, 316L Marine Grade Stainless Steel Tubes Distributor, Marine Grade Stainless Steel Tube Manufacturer in India, 304 Marine Grade stainless steel Tube Stockholder in India, SS 316L Marine Tubes, Marine Exhaust Tube, Marine Deck Tube,Marine Fuel Tube, Marine Tube Color Coating,Large Diameter Marine Grade Stainless Steel Tubes,Small Diameter Marine Grade Stainless Steel Tube, Marine Tube Schedule.